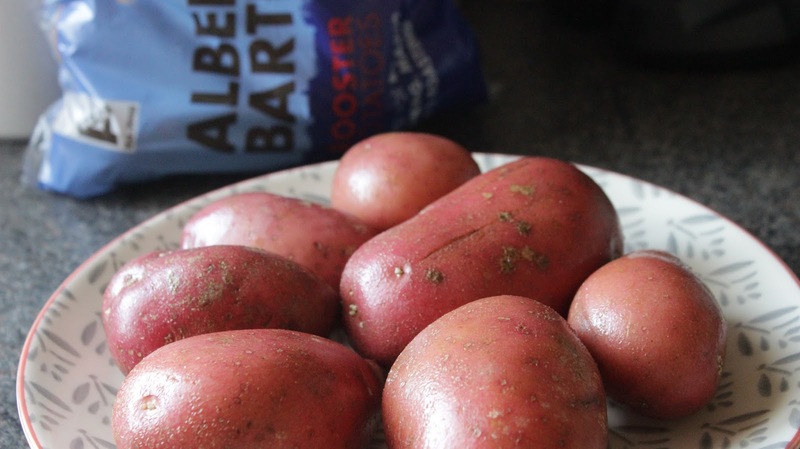 Albert Bartlett Rooster potatoes are gorgeous, versatile potatoes and making them in my acti-fry is always a crowd pleaser when I'm having people over - and it also makes them pretty Slimming World friendly. Since I know lots of you won't have an actifry I made this batch up in the oven - and they were just as delicious. Firstly, preheat your oven to 200 degrees or 180 for a fan. Next give the potatoes a wash and then cut them into wedges - keeping the skin on. 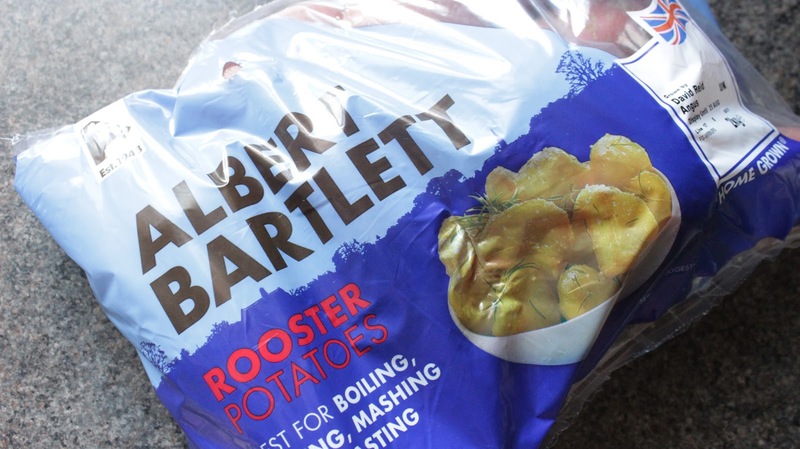 I have an insider contact who used to work at Albert Bartlett (I've never been more jealous - think of all the free potatoes you'd have access to!) who told me to keep the skin on - and they were totally right. 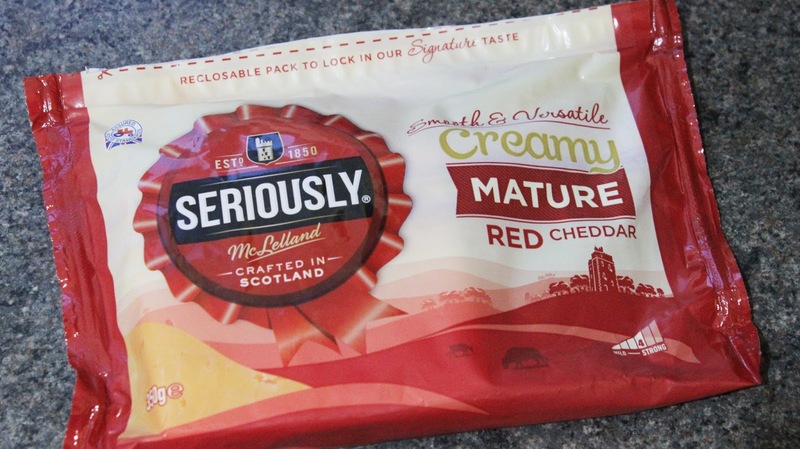 I'm always a fan of skin on chips/wedges anyway, but these were particularly special. I then laid out two baking trays and split the wedges evenly between them. 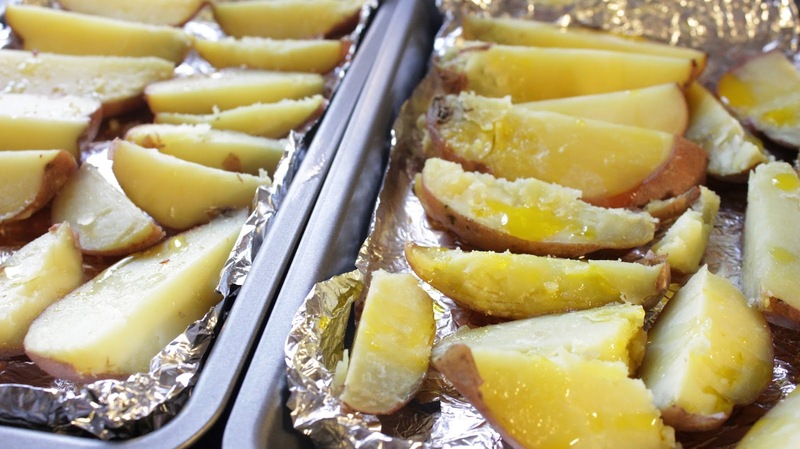 On one baking tray I sprayed the wedges with the olive oil spray then seasoned them using the Spice Mill Sweet & Sticky seasoning. 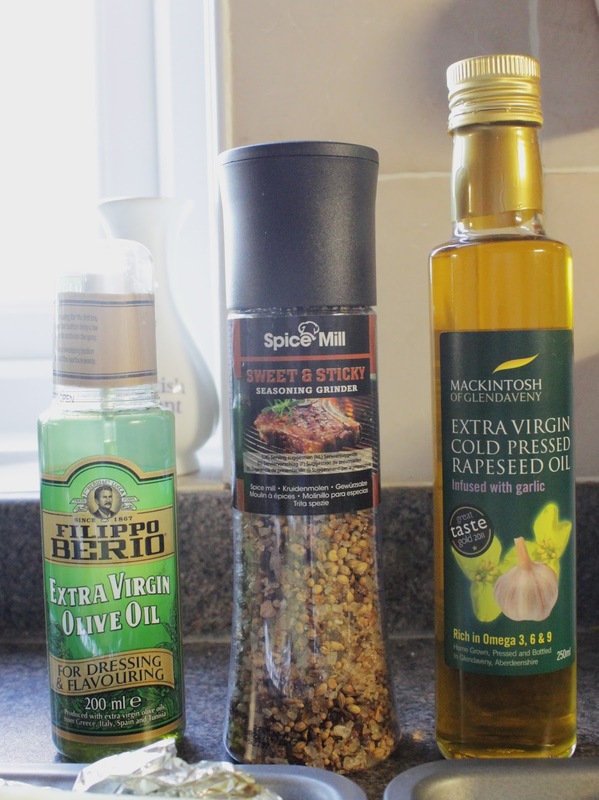 On the other I drizzled over the Mackintosh of Glendaveny rapeseed oil, letting the garlic be the main flavouring. I then pop them in the oven for 30-40 minutes (just keep an eye on them!) 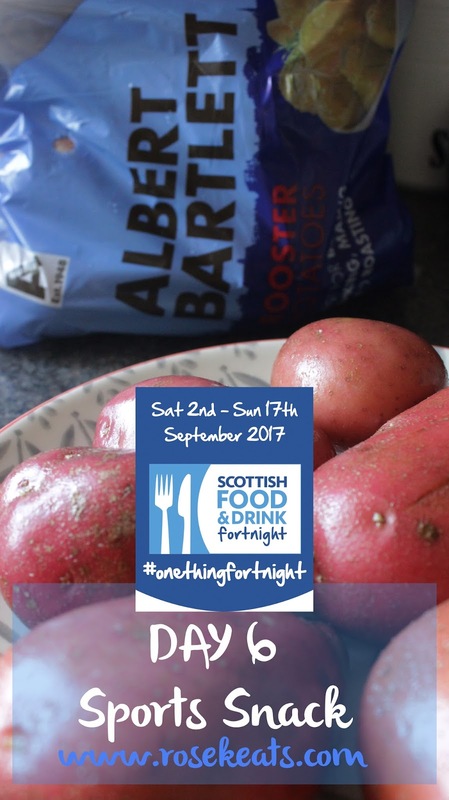 Some people do parboil them before putting in the oven, but I don't see the need with potatoes as good as the Albert Bartlett ones! 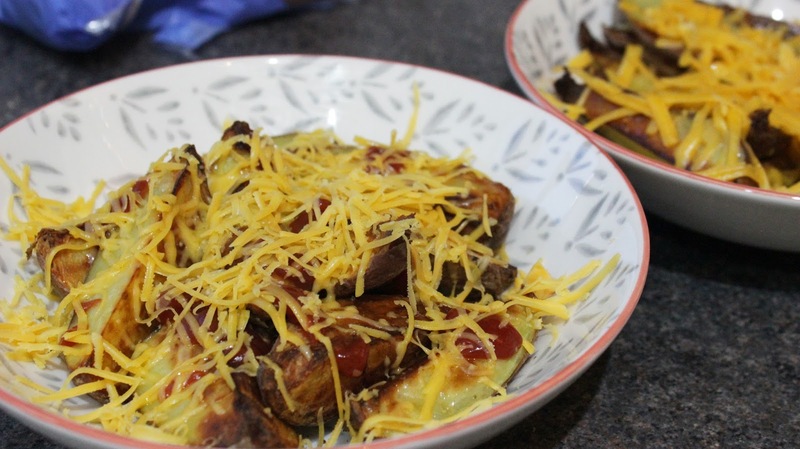 Once they were out the oven I drizzled tomato ketchup over the wedges I made with the Sweet & Sticky seasoning then grated cheese over them; for the ones I made with the Garlic infused Rapeseed Oil, I simply grated the cheese - because garlic and cheese is by far the best combination. 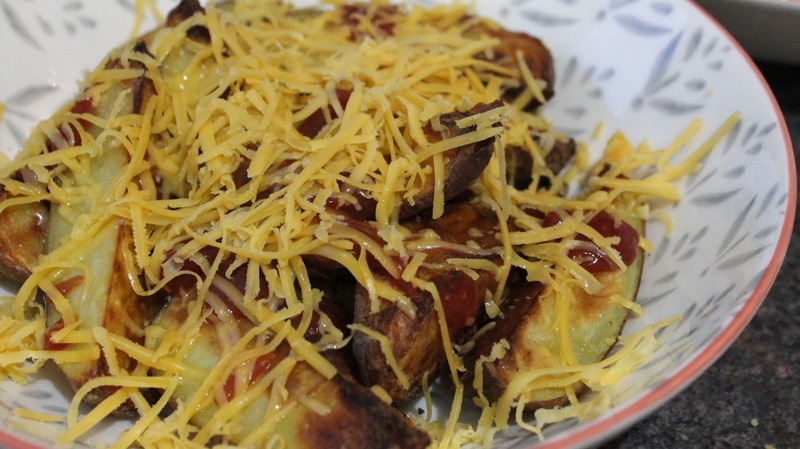 Leave them for a few minutes and the cheese starts to melt, and the cheese, combined with the base of those amazing fluffy Rooster potatoes is to die for. 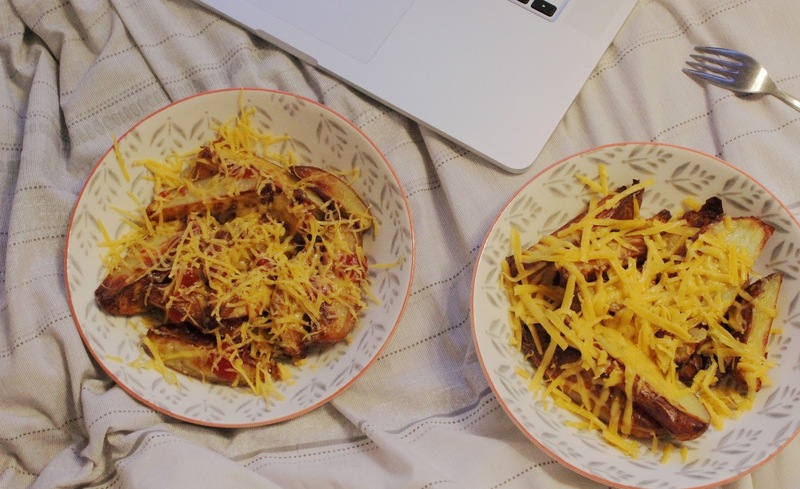 If you've got people coming round I've never had anyone dislike these, but if you make them to simply accompany you on a Gossip Girl binge on netflix, I won't tell! 6 Seasons in a week is pretty extreme sport after all!